in Canon Ridge, Edmonton Announcing a price drop on 25 451 Hyndman Cr NW, a 1132.7 sqft , 2 bath , 3 bdrm 2 story. Now FOR SALE 227000 CAD . Price reduced! 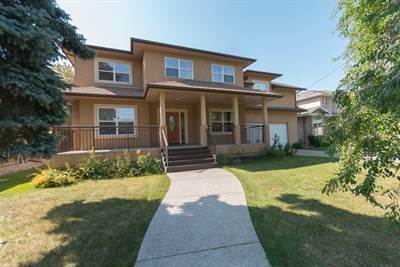 • 3200 sqft , 5 bath , 6 bdrm 2 story – FOR SALE 1075000 CAD . Are you looking for a large infill estate home in a great tree-lined neighbourhood with quality designated schools and 2 double garages? If so, look no further. Welcome home. This large infill home was built on a historic 1/4 acre lot in Pleasantview, Edmonton. The lot was originally a 1/2 acre given to a war vet that he subdivided and shared with his brother. In 2008 the infill project began utilizing a floor plan reminiscent of the old victorian estate homes with the front sitting room, formal dining room, large porch and main floor master bedroom. The modern and unique upper floor has 3 large bedrooms with shared ensuites. Two of the bright bedrooms have a large “jack and jill” bath between them, and the third has a door to the ensuite bath which also has a door to the common area. The large open family room area, currently used as an office space, has so many potential uses such as family library, play area, and more. Over top of the garage is a beautiful bonus room featuring dormer windows and room great enough for the largest furniture. The basement of the home, currently has a ballet practice space in the HUGE recreation room, 2 generous bedrooms, utility room, laundry room, 3 piece bath and storage. There is a door to a cold storage space which is actually the basement located UNDER the from porch. This space could be easily converted into a basement entryway, should future owners desire to have a separate entrance to the basement. Outside, the 1/4 acre lot provides for a lot of green space. there is a second garage door on the main attached garage that allows access to the rear double garage. This is an ideal set up for the car enthusiast, or could be easily converted into a studio, wood working shop or more. Attached to the back of the detached garage is a greenhouse where you can start your vegetables early for planing in the gardens. When thinking about the exterior of the home, you will notice the hardware is in place on the front porch for a porch swing. Imagine sitting out front sipping iced tea and enjoying the summer while swinging gently on your front porch swing! When selecting an infill estate home, location should be a huge factor in decision making. 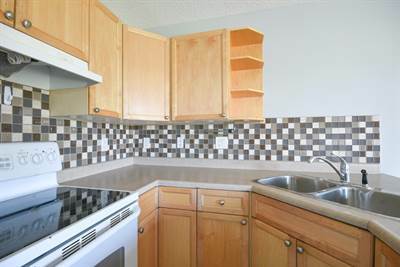 In addition to an amazing location with easy U of A access, this home is located a few houses down from the Pleasantview community league park. The park has a playground, tennis court, basketball/floor hockey court, soccer field and skating rink. The designated schools are highly sought after schools and by moving here your children are guaranteed acceptance. Lendrum Elementary and Avalon Jr. high are both french immersion schools. Strathcona high school is a highly academic highschool. Never before has where you lived dictated the schools your children can attend in Edmonton as much as it does today. This is an exclusive opportunity to purchase such a large infill estate home on such a large lot in Edmonton. Don’t miss out.